Well, this is fascinating. Especially since I’ve been looking at a lot of shopper marketing recently, as well as talking to insurance people about how AJP region differs from, say, EMEA. Companies get astonishingly detailed info about people’s habits, but having read the article below and seen the brilliant video that summarises Keith Chen’s hypothesis, I wonder if they already look at what languages we speak to work out likelihood to X or Y. Can Your Language Influence Your Spending, Eating, and Smoking Habits? Yes, I know. That headline. It looks like the most egregious form of causal inference. Americans don’t save money because of … our grammar? How utterly absurd. But bear with me. In the 1930s, linguists proposed that the way we read, write, and talk helped to determine the way we see the world. Speakers of languages that had the same word for orange and yellow had a harder time actually distinguishing the colors. Speakers of the Kook Thaayorre language, which has no words for left and right, must orient themselves by north, south, east, and west at all time, which enhances their awareness of geographical and astronomical markers. Chen wondered whether languages with weak future tenses would be more thoughtful about the future because they consider it, grammatically, equivalent to the present. He mapped stronger and weak future-tense languages across Europe and correlated the data with future-oriented behaviors like saving, smoking, and using condoms. Remarkably, he discovered that speakers with weak future tenses (e.g. German, Finnish and Estonian) were 30 percent more likely to save money, 24 percent more likely to avoid smoking, 29 percent more likely to exercise regularly, and 13 percent less likely to be obese, than speakers of languages with strong future tenses, like English. If your B.S. antennae are standing straight up (as mine were), you might be more interested in this next part. Chen next compared speakers born and raised within the same countries, as well, controlling for factors like age and number of children. He found the same results: Speakers with weak future tenses demonstrated dramatically, and statistically significantly, more responsible future-oriented behaviors — even within countries like Switzerland, which are a motley blend of strong-future languages (like French) and weak-future languages (like German). The correlation was savaged by some economists and linguists as facile or worse. But others re-ran the data and found, to their astonishment, that Chen seemed to be right. His paper was published (along with thanks to some of his fiercest critics) in the American Economic Review this year. “One important issue in interpreting these results is the possibility that language is not causing but rather reﬂecting deeper diﬀerences that drive savings behavior,” Chen concluded. Languages map to large groups of people, but so does religion, culture, family values, and a common history. Are Germans frugal because their language protects them from hyperbolic discounting, or is it just that, well, they’re Germans? That question doesn’t have a satisfying answer, but this paper, as wild as it seems, isn’t a radical departure from the literature. “Overall, my ﬁndings are largely consistent with the hypothesis that languages with obligatory future-time reference lead their speakers to engage in less future-oriented behavior,” Chen wrote. What does it mean? I have no idea, and Chen himself has responded to the criticism of his work with an honorable blend of erudition and shrugging disbelief. But I suppose that if you suffer from issues like crippling procrastination, as I do, it couldn’t hurt to learn Estonian — or, perhaps more simply, to write inspirational notes to yourself exclusively in the present tense. The future might be a different country, but it doesn’t have to feel that way. After the inevitable “How many hours a day do you practice?” and “Show me your hands”, the most common thing people say to me when they hear I’m a pianist is “I used to play the piano as a kid. I really regret giving it up”. I imagine authors have lost count of the number of people who have told them they “always had a book inside them”. We seem to have evolved into a society of mourned and misplaced creativity. A world where people have simply surrendered to (or been beaten into submission by) the sleepwalk of work, domesticity, mortgage repayments, junk food, junk TV, junk everything, angry ex-wives, ADHD kids and the lure of eating chicken from a bucket while emailing clients at 8pm on a weekend. Do the maths. We can function – sometimes quite brilliantly – on six hours’ sleep a night. Eight hours of work was more than good enough for centuries (oh the desperate irony that we actually work longer hours since the invention of the internet and smartphones). Four hours will amply cover picking the kids up, cleaning the flat, eating, washing and the various etceteras. We are left with six hours. 360 minutes to do whatever we want. Is what we want simply to numb out and give Simon Cowell even more money? To scroll through Twitter and Facebook looking for romance, bromance, cats, weather reports, obituaries and gossip? To get nostalgically, painfully drunk in a pub where you can’t even smoke? What if you could know everything there is to know about playing the piano in under an hour (something the late, great Glenn Gould claimed, correctly I believe, was true)? The basics of how to practise and how to read music, the physical mechanics of finger movement and posture, all the tools necessary to actually play a piece – these can be written down and imparted like a flat-pack furniture how-to-build-it manual; it then is down to you to scream and howl and hammer nails through fingers in the hope of deciphering something unutterably alien until, if you’re very lucky, you end up with something halfway resembling the end product. What if rather than a book club you joined a writer’s club? Where every week you had to (really had to) bring three pages of your novel, novella, screenplay and read them aloud? What if, rather than paying £70 a month for a gym membership that delights in making you feel fat, guilty and a world away from the man your wife married you bought a few blank canvases and some paints and spent time each day painting your version of “I love you” until you realised that any woman worth keeping would jump you then and there just for that, despite your lack of a six-pack? I didn’t play the piano for 10 years. A decade of slow death by greed working in the City, chasing something that never existed in the first place (security, self-worth, Don Draper albeit a few inches shorter and a few women fewer). And only when the pain of not doing it got greater than the imagined pain of doing it did I somehow find the balls to pursue what I really wanted and had been obsessed by since the age of seven – to be a concert pianist. Admittedly I went a little extreme – no income for five years, six hours a day of intense practice, monthly four-day long lessons with a brilliant and psychopathic teacher in Verona, a hunger for something that was so necessary it cost me my marriage, nine months in a mental hospital, most of my dignity and about 35lbs in weight. And the pot of gold at the end of the rainbow is not perhaps the Disney ending I’d envisaged as I lay in bed aged 10 listening to Horowitz devouring Rachmaninov at Carnegie Hall. My life involves endless hours of repetitive and frustrating practising, lonely hotel rooms, dodgy pianos, aggressively bitchy reviews, isolation, confusing airline reward programmes, physiotherapy, stretches of nervous boredom (counting ceiling tiles backstage as the house slowly fills up) punctuated by short moments of extreme pressure (playing 120,000 notes from memory in the right order with the right fingers, the right sound, the right pedalling while chatting about the composers and pieces and knowing there are critics, recording devices, my mum, the ghosts of the past, all there watching), and perhaps most crushingly, the realisation that I will never, ever give the perfect recital. It can only ever, with luck, hard work and a hefty dose of self-forgiveness, be “good enough”. And yet. The indescribable reward of taking a bunch of ink on paper from the shelf at Chappell of Bond Street. Tubing it home, setting the score, pencil, coffee and ashtray on the piano and emerging a few days, weeks or months later able to perform something that some mad, genius, lunatic of a composer 300 years ago heard in his head while out of his mind with grief or love or syphilis. A piece of music that will always baffle the greatest minds in the world, that simply cannot be made sense of, that is still living and floating in the ether and will do so for yet more centuries to come. That is extraordinary. And I did that. I do it, to my continual astonishment, all the time. The government is cutting music programmes in schools and slashing Arts grants as gleefully as a morbidly American kid in Baskin Robbins. So if only to stick it to the man, isn’t it worth fighting back in some small way? So write your damn book. Learn a Chopin prelude, get all Jackson Pollock with the kids, spend a few hours writing a Haiku. Do it because it counts even without the fanfare, the money, the fame and Heat photo-shoots that all our children now think they’re now entitled to becauseHarry Styles has done it. Charles Bukowski, hero of angsty teenagers the world over, instructs us to “find what you love and let it kill you“. Suicide by creativity is something perhaps to aspire to in an age where more people know Katie Price better than the Emperor concerto. 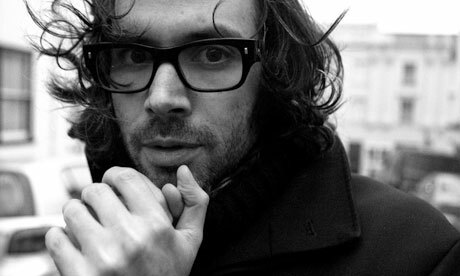 * James Rhodes performs at the Soho Theatre, London 25-27 July and 1-3 August. As seen in The Guardian, spotted by Charlie W.
Hurley Stretch Rack. The ultimate stretch machine. Black Belt magazine, 1981. Via. I remember seeing this being demonstrated on Tomorrow’s World when I was a kid. Five years. 25 countries. Shot entirely on 70mm film. Ron Fricke’s long-awaited “Samsara” looks incredible. Well worth having a sneak peek on the Samsara website. If you liked Baraka, you’ll like this. If you didn’t, chances are you won’t. Edited from a piece by Natalie Angier in the NY Times. Click here to read the whole thing (I chopped out the intro for length, but read it if you can). The author of “On Being Certain” and the coming “A Skeptic’s Guide to the Mind,” Dr. Burton is a contributor to a scholarly yet surprisingly sprightly volume called “Pathological Altruism,” to be published this fall by Oxford University Press. As the new book makes clear, pathological altruism is not limited to showcase acts of self-sacrifice, like donating a kidney or a part of one’s liver to a total stranger. The book is the first comprehensive treatment of the idea that when ostensibly generous “how can I help you?” behaviour is taken to extremes, misapplied or stridently rhapsodised, it can become unhelpful, unproductive and even destructive. Selflessness gone awry may play a role in a broad variety of disorders, including anorexia and animal hoarding, women who put up with abusive partners and men who abide alcoholic ones. Because a certain degree of selfless behaviour is essential to the smooth performance of any human group, selflessness run amok can crop up in political contexts. It fosters the exhilarating sensation of righteous indignation, the belief in the purity of your team and your cause and the perfidiousness of all competing teams and causes. David Brin, a physicist and science fiction writer, argues in one chapter that sanctimony can be as physically addictive as any recreational drug, and as destabilising. “A relentless addiction to indignation may be one of the chief drivers of obstinate dogmatism,” he writes. “It may be the ultimate propellant behind the current ‘culture war.’ ” Not to mention an epidemic of blogorrhea, newspaper-induced hypertension and the use of a hot, steeped beverage as one’s political mascot. To Dr. Oakley, the resistance was telling. “It epitomised the idea ‘I know how to do the right thing, and when I decide to do the right thing it can never be called pathological,’ ” she said. Indeed, the study of altruism, generosity and other affiliative behaviours has lately been quite fashionable in academia, partly as a counterweight to the harsher, selfish-gene renderings of Darwinism, and partly on the financing bounty of organisations like the John Templeton Foundation. Many researchers point out that human beings are a spectacularly cooperative species, far surpassing other animals in the willingness to work closely and amicably with non-kin. Our altruistic impulse, they say, is no mere crown jewel of humanity; it is the bedrock on which we stand. And by the first rule of engineering, she said, “there is no such thing as a free lunch; there are always trade-offs.” If you increase order in one place, you must decrease it somewhere else. Moreover, the laws of thermodynamics dictate that the transfer of energy will itself exact a tax, which means that the overall disorder churned up by the transaction will be slightly greater than the new orderliness created. None of which is to argue against good deeds, Dr. Oakley said, but rather to adopt a bit of an engineer’s mind-set, and be prepared for energy losses and your own limitations. Rachel Bachner-Melman, a clinical psychologist at Hadassah University Medical Center in Jerusalem who specialises in eating disorders, has seen the impact of extreme selflessness on the anorexic young women who populate her ward. Yet the spectral empaths will express no desires of their own. “They try to hide their needs or deny their needs or pretend their needs don’t exist,” Dr. Bachner-Melman went on. “They barely feel they have the right to exist themselves.” They apologize for themselves, for the hated, hollow self, by giving, ceaselessly giving. Denial and mental compartmentalisation also characterise people who stay in abusive relationships, who persuade themselves that with enough self-sacrifice and fluttering indulgence their beloved batterer or drunken spouse will reform. Extreme sensory denial defines the practice of animal hoarding, in which people keep far more pets than they can care for — dozens, scores, hundreds of cats, rodents, ferrets, turtles. At work, they behave responsibly and know the importance of good hygiene. They go home and enter another world, one of squalor and chaos, of overwhelming stench and undernourished animals, of pets that have died for lack of care. Hoarders may think of themselves as animal saviours, rescuing pets from the jaws of the pound; yet they are not remotely capable of caring for the animal throngs, and they soon give up trying. “It’s a very focal, delusional behaviour,” Dr. Patronek said. And it can be all the more difficult to treat for wearing the trappings of selflessness and love. This image is a “balloon race”. The higher a bubble, the greater the evidence for its effectiveness. Click HERE or on the image to see the full, interactive version. But the supplements are only effective for the conditions listed inside the bubble. You might also see multiple bubbles for certain supplements. These is because some supplements affect a range of conditions, but the evidence quality varies from condition to condition. For example, there’s strong evidence that Green Tea is good for cholesterol levels, but evidence for its anti-cancer effects is conflicting. On the right (once you click through to the full version on InformationIsBeautiful) there’s a little tab that says “show me”. Click that to navigate different conditions and so on.